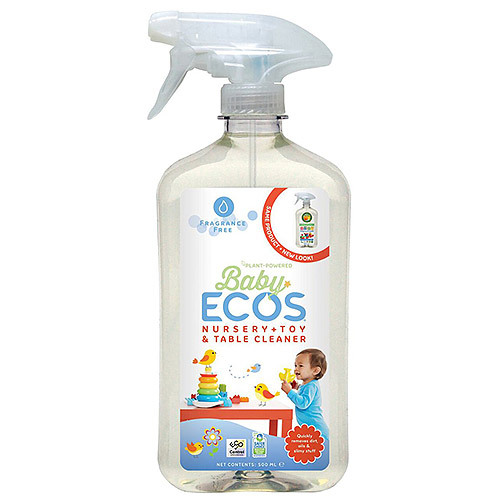 ECOS BABY Nursery + Toy & Table Cleaner is formulated from pure plant ingredients with babies and their mothers in mind. This fragrance free, pH neutral formula thoroughly cleans all nursery areas, toys and hard surfaces safely and naturally. Allow your child`s favourite toys and nursery area to be fresh and clean. The BABY Nursery + Toy & Table Cleaner does not contain any harmful chemical residues that may be found in conventional spray cleaners. Vegan, cruelty free and carbon neutral. <5% Non-Ionic Surfactants, Solvent, Preservation Agent: Potassium Sorbate, pH Adjuster. Spray directly on to surface to be cleaned and wipe with a clean damp cloth or sponge. Repeat as necessary if heavily soiled. Contains natural origin ingredients; colour and body may vary. Always keep your washing and cleaning products out of children`s reach. If contact occurs, flush with plenty of water. If swallowed, seek medical advice. 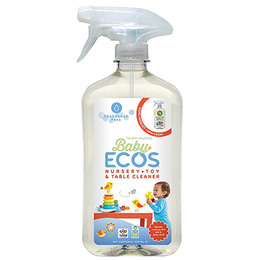 Below are reviews of ECOS BABY Nursery + Toy & Table Cleaner - 500ml by bodykind customers. If you have tried this product we'd love to hear what you think so please leave a review.